Last week, the company delivered its quarterly report that portrayed decent performance, which gave its market capitalization and share price a hefty boost. The report wronged the rumors that were floating around in past week about the company being scooped up by somebody. However, despite the gossip circulating in the industry, it is unlikely that anyone will purchase the crown jewel of SaaS. For instance, last Friday there had been reports circulating that Microsoft had made a $55 billion offer to Salesforce, which had been rejected, as the CRM software solution firm was after a price tag of $70 billion. If this report is based on fact, then there are slim to no chances of Salesforce being sold. With a market capitalization of just under $50 billion, Salesforce is not just another regular SaaS company; it is difficult to acquire because of its cost and only a handful of firms such as the likes of Oracle, Microsoft, HP, IBM and SAP can do so. However, it seems that they all have tried at some point, but were shot down. Last week, SAP’s CEO, Bill McDermott, made it clear that they weren’t interested in purchasing Salesforce and it was unlikely anyone else would because it is too expensive. It seems that Marc Benioff, Salesforce’s CEO may be right in asking for $70 billion. 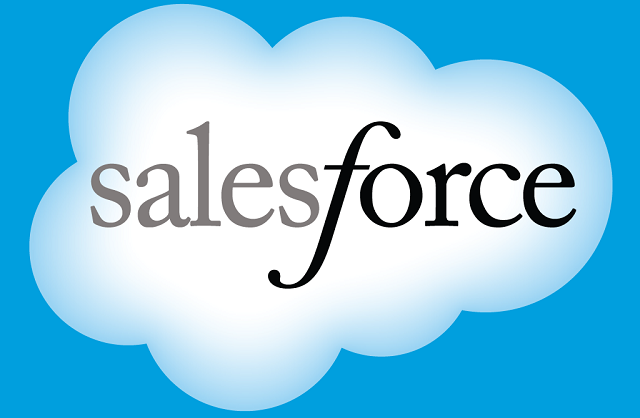 Salesforce sees a boost in share price every time an acquisition rumor emerges. Nonetheless, the stock settles down and irrational critics are quick to point out the slump, claiming it is an indicator of the company’s decline. An industry insider had suggested that it was possible that the rumor had been made public by Salesforce for driving up its stock price and also because fiduciary responsibility dictates that any legitimate purchase attempt should be pursued. Of course, having talks about the future of the company and leaking those talks are entirely different matters. While this sort of disclosure is always useful for the press, the fluctuation in share price can confuse investors seeking internally sourced value. In addition, acquisition rumors are a source of distraction for employees preventing them from achieving sales targets as they are worried about the future of the company and their own. It isn’t tough to figure out why Salesforce could be a possible target for acquisition. The company is roughly worth one Uber and is generating revenue currently at the tip of $6 billion. The most recent quarter of Salesforce showcased an adjusted profit of $0.16 for every share on line of $1.51 billion. In the current quarter, it is expected by the company to see a rise in revenue to about $1.59 billion, which will generate more adjusted profit. It was noted by the CEO in the earnings release that the company will achieve a run rate of about $7 billion in this fiscal year. In a nutshell, Salesforce has an effective and proven model, huge revenues and profits that are surpassing market expectations with flying colors. The only ripple in this pond is that when normal accounting measures (non-GAAP) are considered, Salesforce is barely profitable. When costs are taken into account, the profit per share of Salesforce in the most recent quarter amounts to $0.01. How can the company turn this around? The answer is greater efficiency and lower sales cost; a thorn in the side of every SaaS company. This goes two ways for the company. The SaaS Company could prove to be more valuable than its current market valuation if an acquiring party believes that it could absorb Salesforce and accelerate the declining growth rates and also boost its profits. Secondly, it is highly unlikely that Salesforce believes it is overvalued currently and wants a higher price greater than its existing share value. Since the firm can also do the same math as an acquiring organization, it is aware that combining with another company will give the latter the opportunity of leveraging its assets in an accretive direction. Therefore, it believes that the acquisition entity should pay a premium for unlocking something of significant value and we know that keys don’t come free. Likewise, arguments favoring the sale are also contra-debates. This is due to the fact Salesforce can choose to partner with a company that may have thought of acquiring it. This move would enable the smaller company to sell at a quicker rate and bolster its margins. In simple terms, Salesforce is not going anywhere and will continue helping businesses in efficient data management.